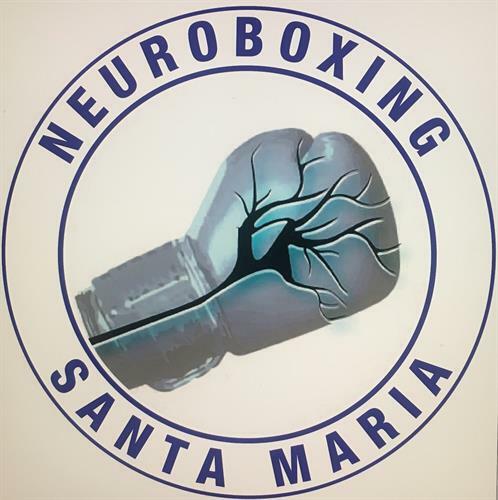 Neuroboxing Santa Maria enables people with Neurologial Conditions, like Parkinson’s Disease, to fight their disease by providing non-contact boxing style fitness programs to improve their quality of life, sense of efficacy and self-worth. Recent studies also suggest that intense exercise may be “neuro-protective'', actually working to delay the progression of symptoms. Neuroboxing provides encouragement through a “tough-love” approach, inspiring maximum effort, speed, strength , balance and flexibility. Boxing works by moving your body in all planes of motion while continuously changing the routine as you progress through the workout. 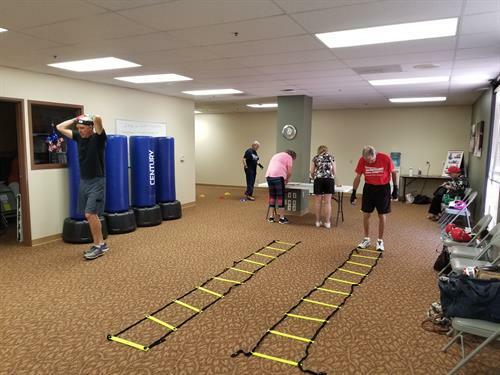 Neuroboxing classes have proved that anyone, at any level of Parkinson’s can actually lessen their symptoms and lead a healthier/happier life. 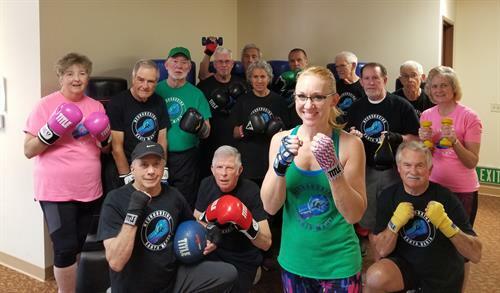 Training classes taught by April Sargeant, Certified Personal Trainer, Neuroboxing, Rock Stead Boxing and Box N Burn Certified, include an exercise program that attacks Parkinson’s at its vulnerable neurological points. 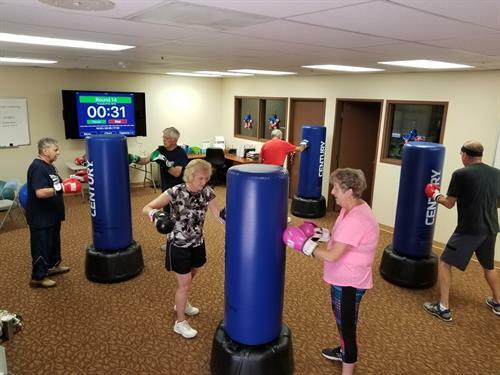 While training focuses on overall fitness, strength training, reaction time and balance, workouts include: focus mitts, heavy bags, jump rope, core work, calisthenics and circuit training. No boxing experience is necessary and people of all ages and levels are invited to participate!